Mom's tone was incredulous, but ever since the day I turned seven, I had wanted to go to Tunisia. On February 18, 1978 I finally got to see the film that my friends had been discussing for the past nine months. I remember the 20th Century Fox drums. To this day, the sound of them makes the hair on my arms rise. I recall how I was introduced to each character and how I remembered each one by name as I walked out of the theater. I remember when the film ended and I felt as I had been stirred from a dream - the kind that you wish would continue. On that rainy winter day, I saw STAR WARS. Disney has been irrelevant ever since. I realize the irony in that statement given that Disney now owns Lucasfilm – and STAR WARS. All I really mean by it is that Mickey, Donald, Bambi, and all of their goofy friends have not played a significant or meaningful part in my life. They simply could not hope to compete with the STAR WARS universe. However, since Disney purchased Lucasfilm a year ago and is now moving ahead with further films (which will almost certainly NOT feature the 20th Century Fox fanfare), I thought I might share some of the STAR WARS related experiences from my travels in Tunisia some years ago. A fan-created video shows what the Disney owned & produced STAR WARS opening titles might look (and sound) like. Since I was already headed to Europe and since I had more than a few extra days of vacation saved up and since I had the desire, I was determined to cross the Mediterranean and visit Tunisia as well. For the architect in me, this was a chance to visit more Roman ruins (as I’ve shared in some previous posts). For the movie fan in me, it was a chance to locate and visit the actual shooting locations from films like RAIDERS OF THE LOST ARK, MONTY PYTHON’S LIFE OF BRIAN, THE ENGLISH PATIENT, and no less than three films of the Star Wars saga. But even though Tunisia is smaller than most African countries, it is still a large place roughly the same size and shape as the state of Illinois. With only two weeks in which to search, I would have to target specific areas. As a boy, I devoured everything I could get ahold of that had any kind of relation to STAR WARS. But in those pre-internet and pre-bonus feature laserdisc/dvd days, information wasn’t as easy to come by. Fortunately, Lucasfilm realized fairly early on that there was a market for the behind-the-scenes stuff and before long the making of the film was gradually revealed through trading cards, magazines, books, and television. 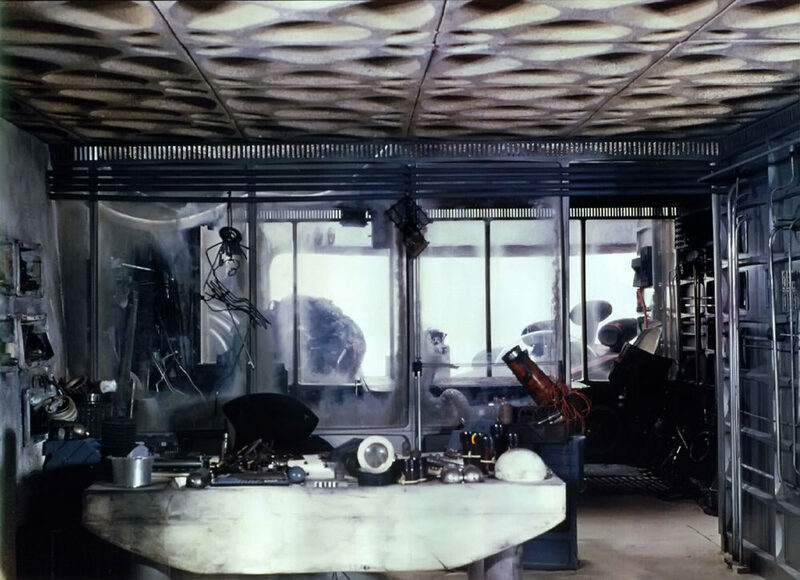 While the groundbreaking visual effects were an obvious focus, there was less information regarding the actual locations used for shooting. 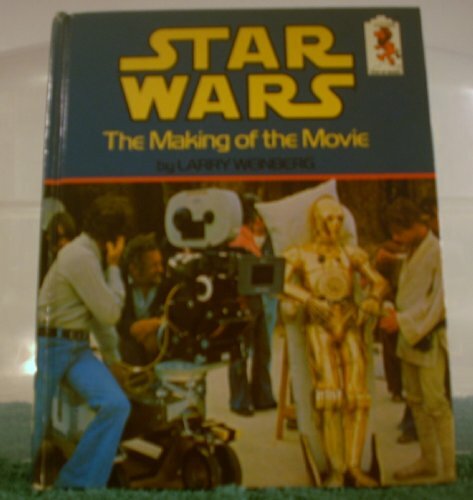 One of the first things I found as a young fan was on page 15 of the book "Star Wars: The Making Of The Movie" by Larry Weinberg. It revealed that the film crew had gone to Tunisia to shoot on location. From that point on, I kept an eye out for Tunisian STAR WARS connections. Sometime in the ‘80s I learned that Luke Skywalker’s home was filmed in two different locations: the exterior on the Chott El Jerid salt flat and the pit interior in the town of Matmata. I also learned that the canyon where Luke and C-3PO find R2 (often called “Star Wars Canyon” by fans) was also used in RAIDERS OF THE LOST ARK. But beyond the names of some towns (namely Matmata, Nefta, & Tozeur), there was very little information to go on. This changed in the ‘90s. The publication of licensed novels and comic books by Lucasfilm, that began in earnest in the early ‘90s, reinvigorated interest in the films. 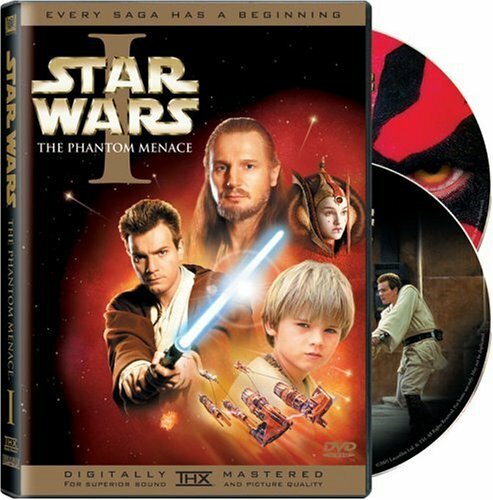 In November 1994, spurred in part by this interest as well as by the level of effects achieved in JURASSIC PARK, George Lucas began writing the first of what would eventually become the prequel trilogy: EPISODE I – THE PHANTOM MENACE. 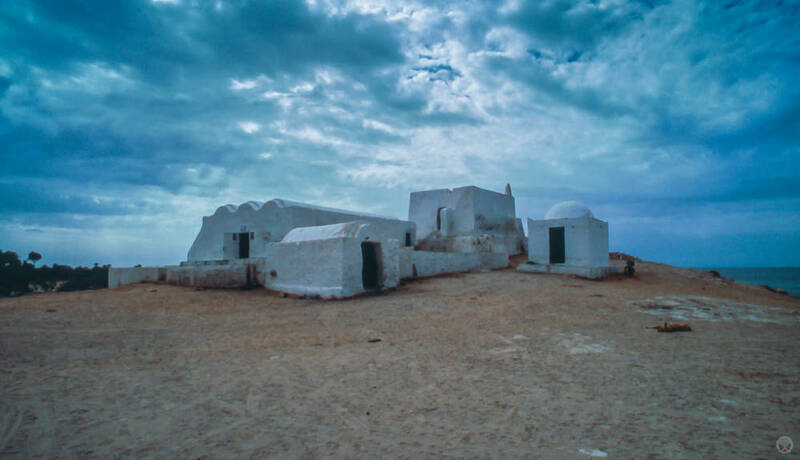 Around this time, Star Wars Insider magazine featured an article by a fan who had gone to Tunisia to find the locations used in the original film. While he had successfully located most of them, his descriptions were still somewhat vague. Reading between the lines gave me a better idea though and renewed my interest in going to the point where I stepped up my research. To this end the internet was a great tool as other fans had seen the article as well and would go on to make the trip and then document it via their own websites. Some even posted actual GPS coordinates of the locations. Armed with this new influx of information, I eagerly added Tunisia to my travel plans in the early part of 2000. And on October 16, 2000, I found myself on a ferry from Trapani, Sicily crossing the Mediterranean to Tunis. The following morning, I checked out of my hotel, rented a car, and headed off to explore the country. My first STAR WARS encounter occurred several days later as I again crossed Mediterranean waters via a ferry to the Tunisian island of Djerba. Djerba is a low, sandy island roughly twelve miles across, that lies just off the coast of southern Tunisia. Regarded by many as the Land of the Lotus Eaters from Homer's Odyssey, today it boasts some of the finest white sand beaches on the Mediterranean. Unfortunately, they are entirely monopolized by the hotel industry. Fortunately for me, my interests were sited on the opposite side of the island - which was precisely where I headed. The small town of Ajim gets little mention in the guidebooks. Often described as "dreary," it is usually included only as the point of arrival via a small ferry from the mainland. However, just a few meters off the main drag is "Mos Eisley." Or what's left of it. 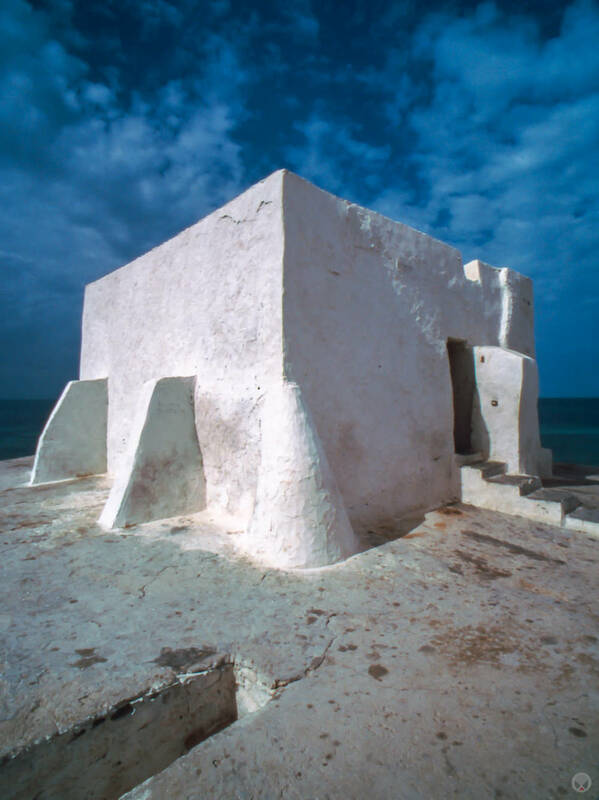 Today, most of the Mediterranean vernacular architecture that was used to such great effect in STAR WARS has either fallen down or been replaced by more modern building methods. One can still stand in the approximate location where Imperial Stormtroopers stopped Luke Skywalker's landspeeder, but the surroundings no longer resemble the film. 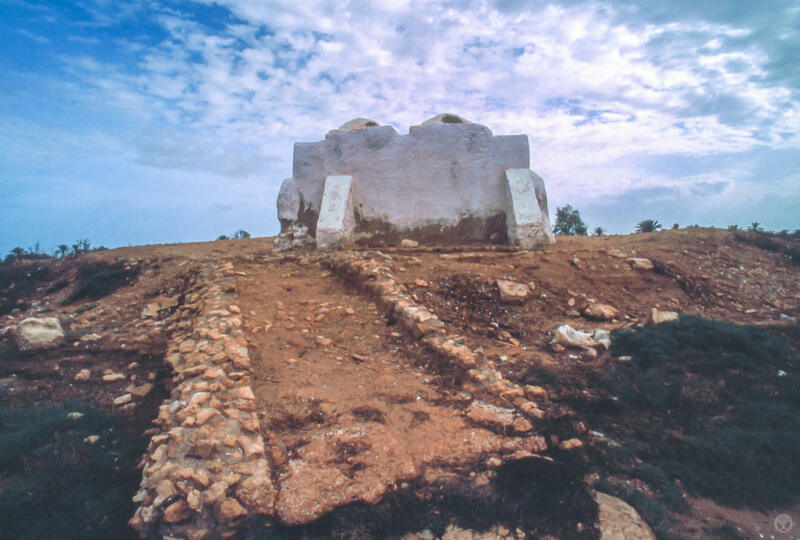 Only the small domed structure that served as the exterior of the Cantina remains. Originally said to have been a small bakery, today the building is near ruin and appears to serve as a storage shed. Ajim is a short ferry ride from the tiny mainland settlement of Jorf. To find the area used in STAR WARS, head northeast from the ferry along the main street (C116) until you come to an intersection with a round-a-bout. Stay to the right and head northeast on C209. After a block or two you will find a smaller round-a-bout. Take a left off C209 here. The "Cantina" is two blocks south. The triangular area used for filming has been identified on wikimapia. Slightly subdued by what I had found, I continued on to the other side of town. Eventually, the paved surface gave way to a sandy track that continued along the shoreline. It wasn't long before I came upon a small structure that I recognized immediately. Once upon a time, the small, white, barrel-vaulted building had served as the exterior of Ben Kenobi's house in the original STAR WARS. That is, before 1997. 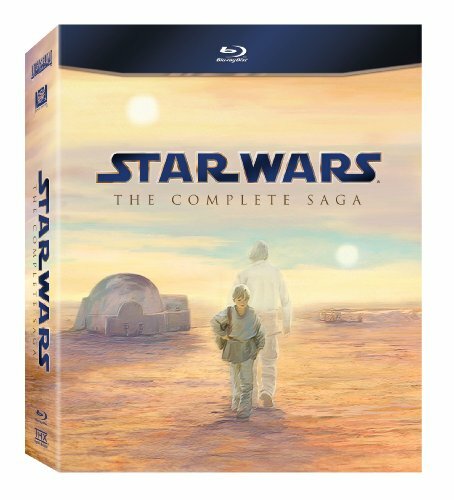 Before the "Special Editions." In reality, it's the Marabout Jemaa Amghar - though it resembled something more like a fisherman's storage shed at the time of my visit. Seashells littered the ground and in the back, a ramp extended down to the shore where a small rowboat was moored. Knowing that the interior had been filmed on a London sound stage, I curiously stepped inside anyway only to find a few nets, flies, and the lingering smell of gutted fish. After taking a few photos, I continued on. To find Ben's house, go back through Ajim toward the ferry crossing, this time turn right onto the road that follows the coast along the west side of the island. When I was there, the road became a dirt track fairly soon, but now it appears to be paved. 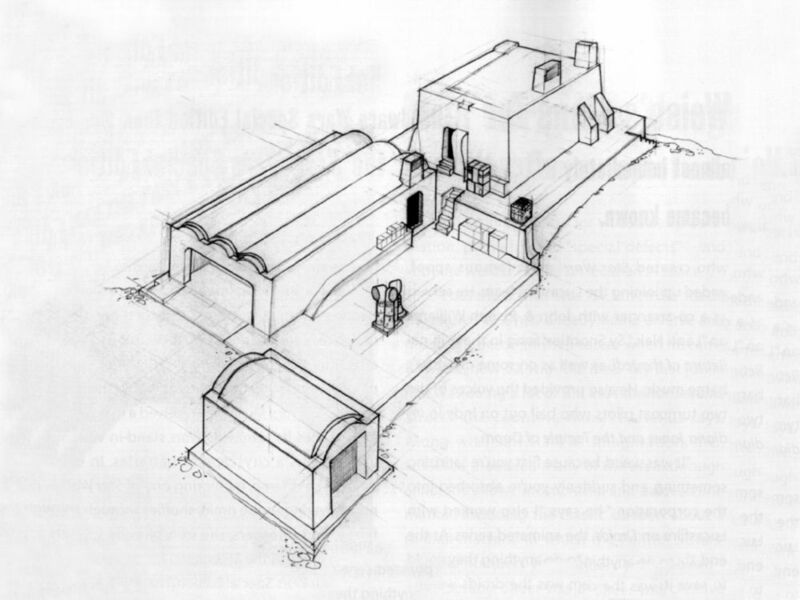 Approximately two kilometers from the ferry crossing, on the water side of the road, you will find the small structure that served as the exterior of Obi-Wan's home. Depending on the time of year, it may or may not be whitewashed. It, too, has been tagged on wikimapia. 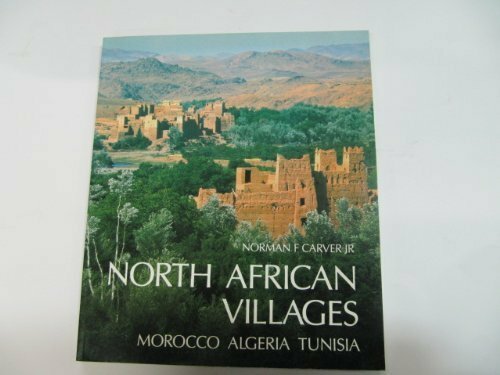 My mid-90s research had led me to a book entitled “North African Villages: Morocco, Algeria, Tunisia” by architect and photographer Norman F. Carver, Jr. Carver made half a dozen trips to north Africa in the mid-70s and documented them extensively with his camera(s). His Tunisian travels comprise the last chapter of this book and the final pages are given over to a structure called the Sidi D’Jemour mosque. I recognized it immediately as a location from STAR WARS and wonder to this day if he and the film crew ever crossed paths. Fifteen minutes further north along the sandy road from "Ben’s house," I came upon the Sidi D'Jemour mosque. 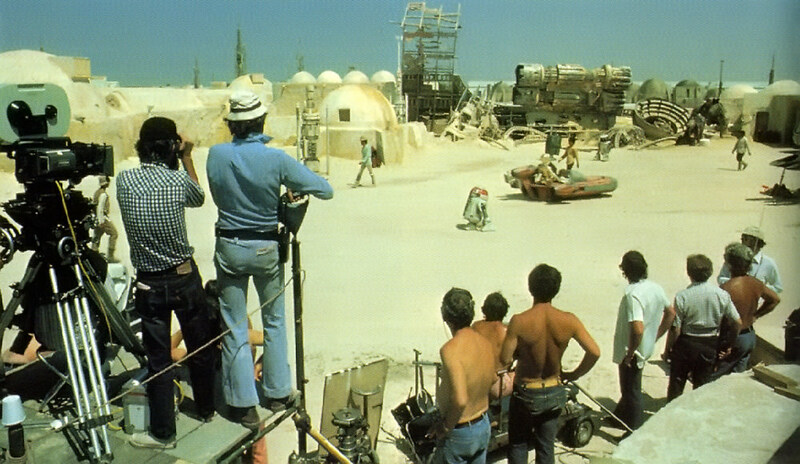 In the film, this mosque is the first building Luke, Ben, and the droids come upon as they enter Mos Eisley. It's even still visible in the Special Edition - though heavily garnished with computer-generated scenery around it. In deleted scenes, it is also the setting of Anchorhead - a small town where Luke meets up with his friend Biggs (who now is only seen near the end of the present film as a rebel X-Wing pilot). I arrived to find the mosque almost exactly as it was nearly 25 years prior. Not a soul was around except for two small dogs. More content to sleep on the sun-warmed sand, they watched me with only casual interest as I went about photographing and exploring the structure. To get to the Sidi D'Jemour mosque, simply continue north along the coastal road from Ben's house. Again, the road has in recent years been paved, so it will likely not take you the 15 or so minutes it took me to cover the same distance. The mosque is also on the water side of the road and in fact is one of only a few structures along the entire length of this coast that are, so you shouldn't have any trouble finding it. But here's the wikimapia link just in case. You can also reach it via a few inland roads, the main one being from the town of Mellita a few miles or kilometers (or even kilometers) to the northeast.